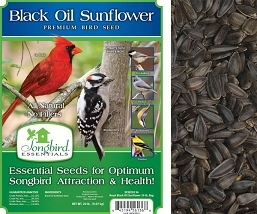 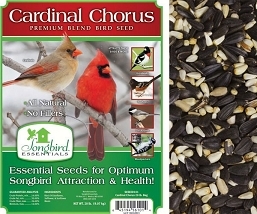 Attract a wide variety of songbirds to your yard! 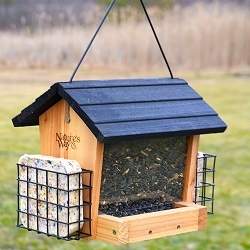 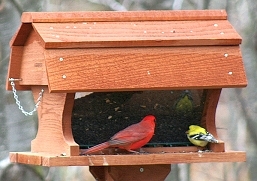 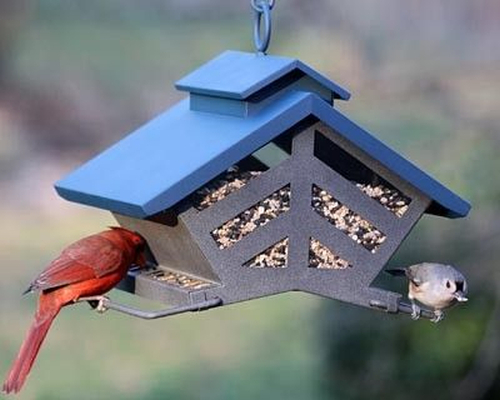 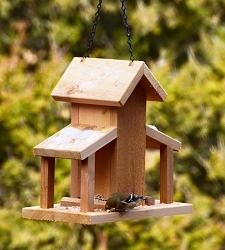 Offer birds a new place to dine with the Heritage Farms Chalet Deluxe Hopper Bird Feeder. 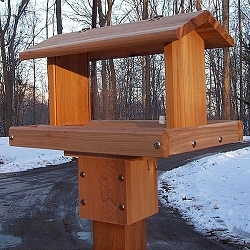 Reminiscent of an elegant chalet, this feeder features a pitched roof, with an additional ridge along the top of the roof for added interest. 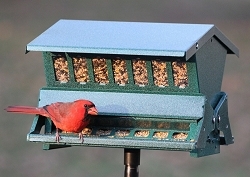 Two sides of the feeder have angled metal detailing, echoing the shape of the roof. 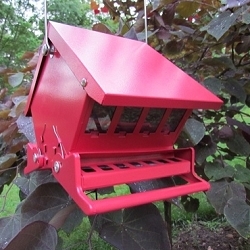 Thick plastic rests behind this part of the sturdy metal frame, to keep seed levels visible. 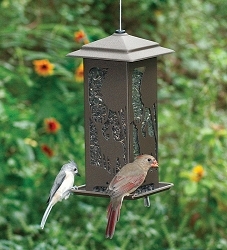 Two long metal perches on each side offer places for your birds to rest and dine. 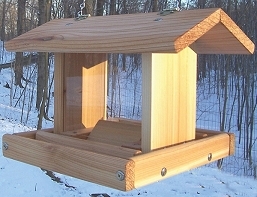 The roof lifts up for easy cleaning and refilling, and also features a lock on the side to keep out pesky squirrels. 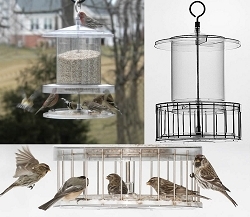 The feeder holds 2.67 quarts or 4 pounds of seed, and may be hung with the included 6.375" long metal hanger. 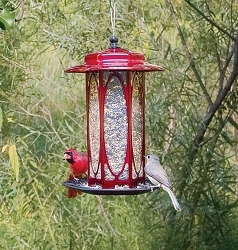 Holes in the bottom of the feeder allow it to be pole mounted if desired (pole not included). 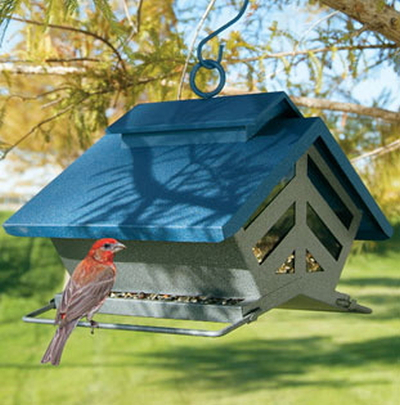 House plenty of seed in your yard with the Chalet Bird Feeder. 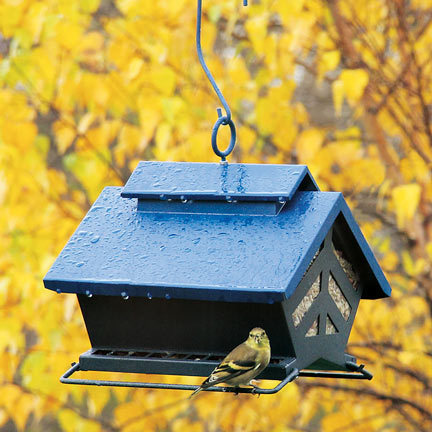 Five year limited warranty.